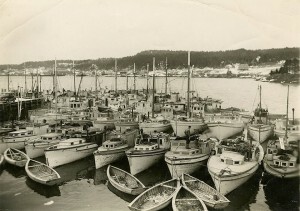 This fishing fleet in Black’s Harbor is waiting, not very patiently, for an annual event which yearly decided the fortunes of thousands of people in this area from the 1870’s until the 1950’s: the spring running of the herring. 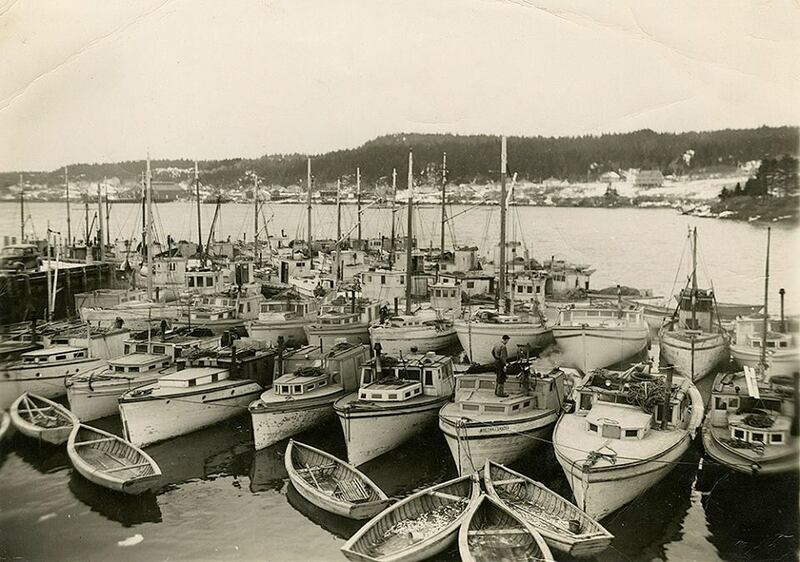 When the herring appeared the doors of the sardine plants opened and people finally had work again. Problem was, there was no way to predict when the run would begin– sometimes it was April and sometimes it later. The bigger the herring run the larger the drop in school attendance. 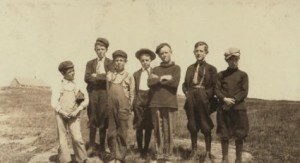 Most families who worked in the factories brought their children to work with them such as this group of boys who were employed in 1911 at the Seacoast factory in Eastport. 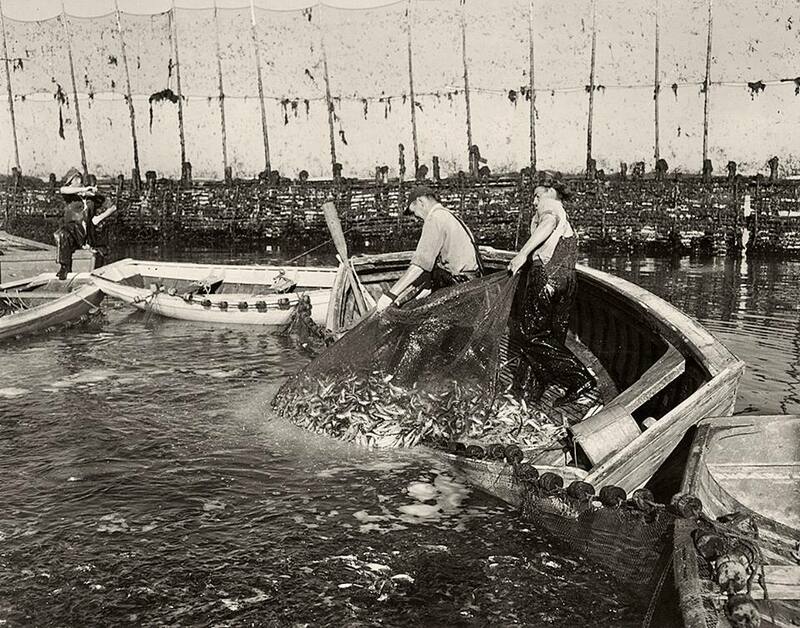 The use of child labor in the local sardine industry became a national scandal and the authorities began to make some effort to give the appearance, at least, of enforcing Maine’s child labor law. A 1914 article in the Calais Advertiser reports Seacoast’s Superintendent, James McGregor, was fined $50. for two child labor violations, a fine he appealed. The appeal is understandable perhaps in light of the court levying a fine of only $1. 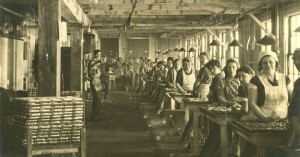 the same day on Arthur Kierstead, the foreman of another plant. The fines represented an insignificant cost of doing business to the owners. $20 a week was a fairly decent wage in 1914. 1914 was the year Henry Ford doubled his autoworkers wages from $2.34 a day to $5.00- shocking the business world. 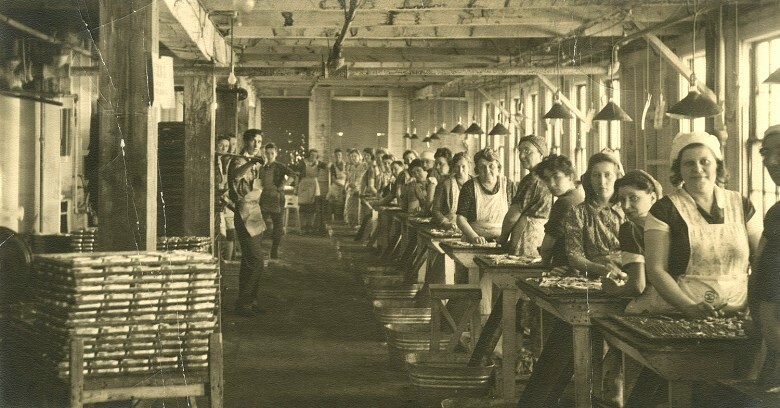 At the time, a union painter in New York City was making $22.00 a week, a bricklayer $33.00. 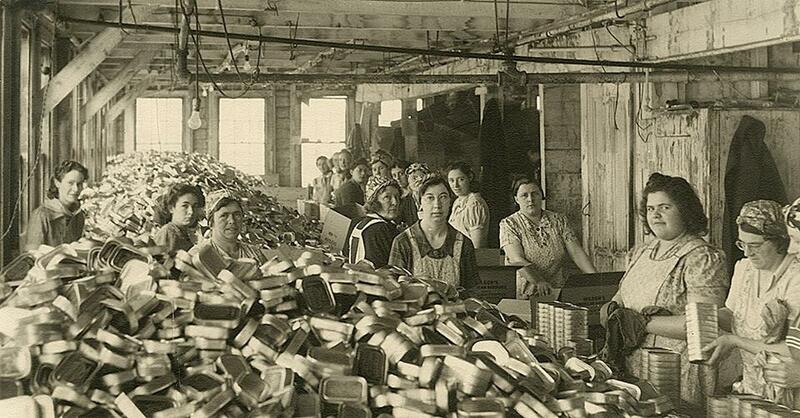 Of course only the best workers made $20 a week in the sardine factories and, only then, if there were sardines to process. 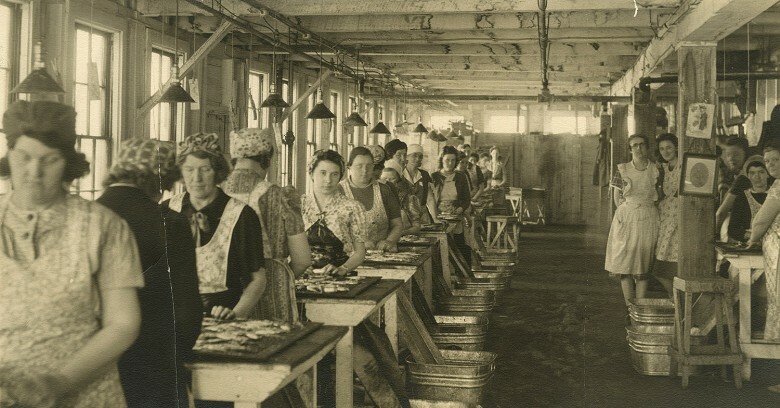 There was very little automation in the factories so each can of sardines was handled several times by workers before being finally shipped to market. 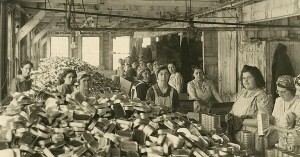 Thousands of cans are waiting above at the Wilson factory in Eastport to be boxed. This is Pike’s Canning Co to the south of the Holmes factory. 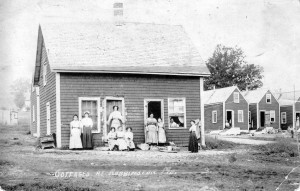 It was behind the general store owned by Bishop, Currier etc. . Went out to sea February 7, 1951. 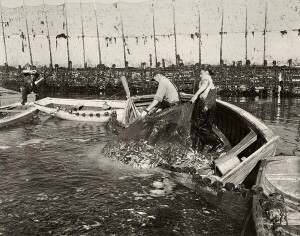 The sardine had a good run here in the St Croix Valley but the last run was over many decades ago. It lasted longer in some communities than others, but there is no question when the beginning of the end began in Robbinston: February 7, 1951. 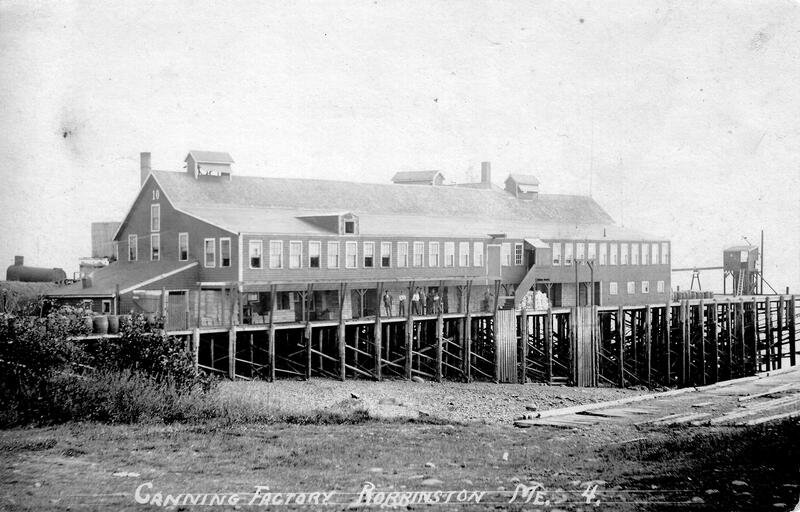 On the night of the 7th a strong gale swept the only remaining Robbinston sardine factory out to sea. It was replaced with a metal building but the business struggled for a couple decades before closing finally closing, ending the year of the sardine in Robbinston.